Can you get copies of medical records from my workers’ compensation doctors? Because insurance companies involve themselves in the relationship between injured workers and their doctors, many workers filing claims want to obtain copies of their medical records. At Ginsberg Law Offices we always recommend that our clients take a proactive approach towards their medical care – you should always exercise your right to ask questions and to function as an informed patient. 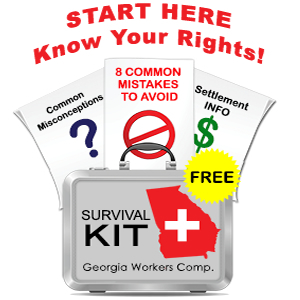 Unfortunately there is nothing in Georgia’s workers’ compensation statute that obligates your physician to provide you with free copies of your medical records. Some medical practices will provide copies at no charge, other offices charge by the page and still others make it difficult for you to get copies of your records. When you do meet with your doctor you should ask the office manager what you need to do to get copies of your records. When you hire me to represent you, I can get copies of your records, usually without too much trouble, from the insurance adjustor or the defense lawyer. If the adjustor will not cooperate, I can obtain copies of these records using “discovery” – a legal procedure whereby we submit a “request for production of documents” to your employer and their counsel. Issues arising from medical treatment are common in workers’ compensation claims. Physicians chosen by your employer and displayed on the posted panel of physicians often depend on employer referrals as a main source of their business, which can affect their objectivity. In my practice, I spend a lot of my day arguing and negotiating with insurance adjustors or defense counsel about my client’s medical care.